Health care associated infections (HCAIs) or surgical site infections are the infections acquired among patients during their hospital stay, creating needs for surgical infection control. HCAIs or surgical site infections usually lead to more overnight stays for treatment, causing more suffering for the patient, and also affects the overall health economy. Hospitals and other healthcare organizations are adopting surgical infection control products and solutions to improve their surgical outcomes and surgical success rates by avoiding surgical site infections. 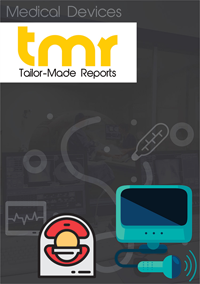 Surgical infection control products, such as disinfectants, surgical drapes, gloves, scrubs, skin Preparation Solutions and, medial nonwovens, are witnessing burgeoning demand across the global healthcare industry, triggering growth of the surgical infection control market. The 3M Company, Belimed AG, Becton, Dickinson and Company, Kimberly-Clark, Biomerieux SA, Johnson & Johnson, Getinge Group, Sotera Health, Lac-Mac Limited, Ansell Limited, Steris Corporation, American Polyfilm Inc., and Pacon Manufacturing Corp. are among the leading companies in the surgical infection control market. The 3M Company – an American multinational conglomerate – introduced its new product, SoluPrep™ Film-Forming Sterile Surgical Solution, which is skin preparation solution, in October 2018. The company declared that the new surgical infection control product is a 2% chlorhexidine gluconate and 70% isopropyl alcohol surgical skin preparation solution uses 3M’s polymer and adhesive technology and can be used to fight against surgical site infections. Getinge AB – a Sweden-based technology company and leading player in the surgical infection control market – launched a new surgical light Maquet PowerLED II in October 2019. This is an antibacterial coating that can minimizing risks of cross-contamination and prevent the spread of infections in operating rooms. The company also announced that the new surgical infection control coating can also be used in laminar air flow environments with an open ring design. Kimberly-Clark Corporation – another leading company in the surgical infection control market – recently announced that it has approved a US$ 30 million investment in nonwovens manufacturing facility in Hendersonville, North Carolina. The company will be focusing on focus on improving efficiency and expanding the company’s nonwoven materials production capacity. In November 2017, Ansell – a global leader in protection solutions – introduced the first hybrid surgical glove, which is a combination of two non-latex polymers – polyisoprene (PI) and neoprene – that can offer the strength and durability of neoprene along with the latex-like comfort of PI. The company announced that the GAMMEX PI Hybrid glove, made with patent-pending Ansell HYBRID Technology, will help surgeons and healthcare professionals to implement surgical infection control by minimizing chemical Type IV allergies and sensitivities to chemical accelerators. At least 1 in 25 hospitalized patients suffer from healthcare-related infections, such as surgical site infections (SSIs), according to the Center for Disease Control and Prevention. In the United States (U.S.), the number of SSIs associated with inpatient surgeries was around 157,500 in 2011 and, in 2014, over 14.2 million operative procedures were performed in the inpatient setting, which signifies increased risk of SSIs, creating needs for surgical infection control products. Not only in the U.S., but the need for surgical infection control products has also been on the rise in the European region. According to the ‘Surgical site infections - Annual Epidemiological Report 2016’ by the European Centre for Disease Prevention and Control, a significant rise in the incidents of SSIs was observed during 2011-2014, especially following cholecystectomy operations. Thereby, an increasing number of hospitals in the region are adopting surgical infection control products. This is expected to complement growth of the surgical infection control market in the upcoming years. Growing awareness about the potential risks of SSIs is triggering adoption of surgical infection control products and this is driving growth of the surgical infection control market. With the increasing demand for surgical infection control products, leading players in the surgical infection control market are adopting next-generation technologies to mitigate risks and potential complications associated with various surgical procedures. Leading companies in the surgical infection control market are adopting advanced technologies to introduce innovative and more effective surgical infection control products to enable healthcare professionals to offer safe and effective solutions for surgical infection control for their patients, and ultimately gain a competitive edge in the surgical infection control market. Tier I and Tier II companies in the surgical infection control market have invested heavily in advanced technologies and launched highly efficient tools for surgical infection control. Benefiting from high capital investments, leading players in the surgical infection control market have set the bar for effective competition in the market much higher, which is making it difficult for small businesses in the surgical infection control market to scale higher and enhance their competitive edges against leading players in the market.